Hardman Signs designs and fabricates dealership signs in a variety of styles and from a variety of materials. 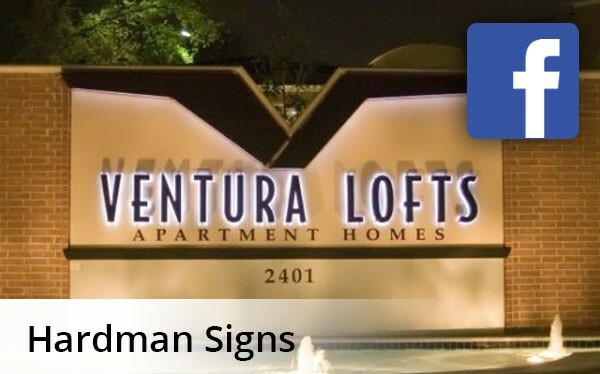 Our roster of dealer signs includes - but is not limited to - digital graphics/electronics message signs, wayfinding signage, neon signs, monument signage to mark the entrance to your location and much more. Our dealership signage company employs a trained and talented design staff who will conceptualize and create your signage, and engineers and installation technicians who will create and service it. Hardman Signs has locations in both Texas and Georgia, and we're our service area's preferred manufacturer of Houston dealership signs, Austin dealership signs and Atlanta dealership signs. Our designers know how to create dealership signs that are both attractive and effective. Our permit procurement staff will research all permit requirements and municipal codes relating to custom signs and will obtain the permits required to install your dealer signs. Our engineers will then manufacture and install your dealership signage and perform regular maintenance and repair services. Contact Hardman Signs to get matched with dealership signs that will catch your customers' eyes and boost your bottom line. To learn more about our dealer signs, fill out our no-obligation quote form to receive your FREE estimate or call today.